This popular roast turkey is finished with a flavorful maple glaze. The turkey is filled with fruit and onion and roasted to perfection. This is an excellent roast turkey for a holiday meal. Serve this turkey with mashed potatoes, bread or cornbread dressing, tossed salad, and your favorite side vegetable or vegetable casserole. 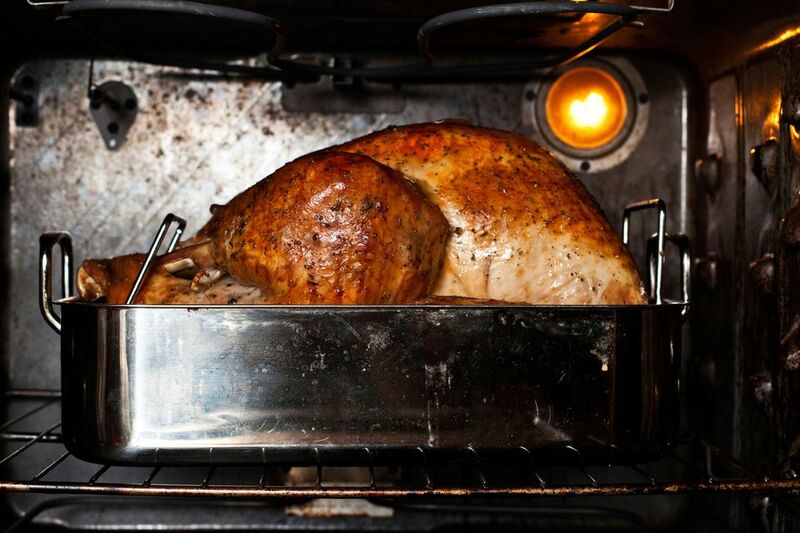 Preheat the oven to 325 F. Place a rack in a large open roasting pan. Clean the turkey inside and out. Sprinkle the cavity with salt and pepper and place on the rack, breast side up. Cut the orange, apple, and onion into large chunks and stuff into the turkey cavity. Tie the legs together with twine. Sprinkle the turkey all over with salt and pepper. In a small bowl, combine the butter and dried herbs. Using your hand, separate the skin from the breasts and push most of the butter mixture evenly under the skin on each side. Rub the turkey all over with any remaining butter mixture. In a small saucepan, combine the maple syrup, brown sugar, and cider. Simmer over low heat until sugar is dissolved. Set aside. Wrap the wing tips and drumstick ends with small pieces of foil. Loosely tent the turkey with a large piece of foil. Roast for 2 1/2 hours, then remove and discard the foil tent and baste with the maple mixture. Continue roasting, basting frequently, for about 1 hour longer, or until a meat thermometer registers about 180 F when inserted in the thickest part of the turkey thigh or 170 F in the breast. The minimum safe temperature for poultry is 165 F.